Mauricio Pellegrino has highlighted some key areas his side need to improve on, following their defeat to Watford. Watch the best of the action from the clash with Watford. Watch our quick-fire highlights package. Images from Saints' defeat to Watford in the Premier League. Watch Mauricio Pellegrino reflect on defeat to the Hornets. Two long-range strikes saw Southampton beaten 2-0 by Watford at St Mary's. Mauricio Pellegrino wants to see his squad take full responsibility for their performance against Watford. Wesley Hoedt was left disappointed with the way in which his Southampton debut played out against Watford. It's set to be another full house at St Mary's. Saints boss on how to break down unbeaten Watford. "Every single game is an opportunity to improve," says Saints boss. Get the lowdown ahead of this weekend's Premier League clash. Read the thoughts of Watford boss Marco Silva. Watch the manager preview the game with Watford. Can you remember the squad that faced Watford? Oriol Romeu previews the home game with the Hornets. View the best of the images as the squad trained at Staplewood. See behind the scenes as Saints' international stars returned to Staplewood. Saints get their shooting boots on ahead of return to Premier League action. Saints boss confirms defender is in first-team training again. Watch a selection of Saints goals against Watford. The key facts and figures ahead of Saints' meeting with Watford. Saints suffer a first Premier League defeat of the season, as two long-range goals continue Watford's impressive start to the new campaign. André Carrillo embarks on a lung-busting run down the right and sends a vicious shot whistling inches wide of the far post. Cédric hits an ambitious shot from a half-cleared corner, but Heurelho Gomes launches himself to his left and hangs on for Watford. Saints are running out of time and it's the Watford fans making all the noise at St Mary's. Richarlison bursts into the Southampton box, but Jack Stephens stands up and makes an important last-ditch tackle. Marco Silva makes his last substitution and it's a like-for-like replacement up front. Saints have two recognised strikers on the pitch, but time is running out if we are to stage a dramatic comeback. Come on lads! Mauricio Pellegrino introduces another striker with his third and final substitution. It's a second change for the Saints, who find themselves 2-0 down. 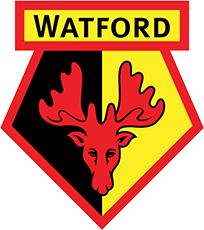 Daryl Janmaat has only just come on, but the right-back has doubled Watford's lead with another fierce low shot from distance, this time to Forster's right. The injured Femenía hobbles off as Marco Silva makes two changes to his defensive line. Jack Stephens has an effort blocked from a Saints corner, before Nathan Redmond shoots into the side-netting from an acute angle. Nathan Redmond finds Sofiane Boufal, who steps inside his man but sends a 20-yard shot ballooning over the crossbar. Ryan Bertrand bursts into the penalty area, but his right-footed shot is blocked and goes behind for a corner that Watford deal with. Nathan Redmond gets on the attack as Saints chase a second-half equaliser. It's a half-time change for the Saints. Abdoulaye Doucouré's low shot beats Fraser Forster to give the visitors a one-goal lead at the break. Saints trail at the interval to Abdoulaye Doucouré's skidding low shot, and there's work to do for Mauricio Pellegrino's team in the second half. Watford are full of confidence now. Tom Cleverley raids down the left, and his low cross is flicked into the path of the onrushing Doucouré, who lashes over from distance. Richarlison picks up possession on the left corner of the area and lets fly with a well-struck shot that just veers wide of the near post. Watford take the lead out of nothing. Doucouré reacts quickest to a dropping ball and lashes home a low shot from 25 yards to beat Fraser Forster down to his left-hand side. Half an hour on the clock at St Mary's, but neither goalkeeper has had a save to make. Who will make the first move? José Holebas sends a free kick sailing inches wide, before Richarlison cuts inside from the left and sees his shot deflected behind by Jack Stephens. Ryan Bertrand delivers a cross from the left flank as we reach the midpoint in the first half. Still goalless at St Mary's. Sofiane Boufal gets to the byeline and cuts the ball back, but it rolls agonisingly between James Ward-Prowse and Oriol Romeu as Watford survive. Ryan Bertrand wins a corner as his cross is deflected behind, but James Ward-Prowse's delivery is headed clear. The Hornets are enjoying the bulk of the early possession, but neither team has yet fashioned a clear-cut chance. There's an early break in play as Nathaniel Chalobah receives treatment on the halfway line, but the former Chelsea man is fit to continue. The visitors get us up and running at St Mary's! Sofiane Boufal replaces Dušan Tadić as one of two Saints changes; Wesley Hoedt comes in for Maya Yoshida. Starting XI: Gomes, Femenía, Kaboul, Kabasele, Holebas, Chalobah, Doucouré, Carrillo, Cleverley, Richarlison, Gray. Subs: Karnezis, Mariappa, Janmaat, Watson, Capoue, Success, Deeney. Starting XI: Forster, Cédric, Stephens, Hoedt, Bertrand, Romeu, Davis, Ward-Prowse, Boufal, Redmond, Gabbiadini. Subs: McCarthy, Yoshida, Lemina, McQueen, Tadić, Long, Austin. Stay tuned to find out who Mauricio Pellegrino has included in his starting line-up to take on the Hornets. The Southampton and Watford line-ups will be revealed in one hours' time. Who will be on the teamsheet? Our cameras were in the right place to see the lads welcomed by the Saints supporters as the countdown to kick-off continues. The Southampton squad is already at St Mary's for today's game, and our club photographer was on hand to capture their arrivals. They are always a tough team with strong players – solid and difficult to beat. But when we played them away last season we were able to create chances and score goals. To score four goals again would be amazing! Manager Mauricio Pellegrino gives his thoughts ahead of Watford clash. It's matchday at St Mary's! Southampton return to Premier League action as they host Watford, and we'll be bringing you all the action here on Matchday Live throughout the day.